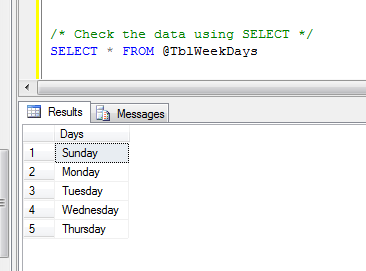 In this article, I am explaining both with most of unique differences in point of SQL query optimization. Both UNION and UNION ALL concatenate the result of two different SQLs. They differ in the way they handle duplicates. 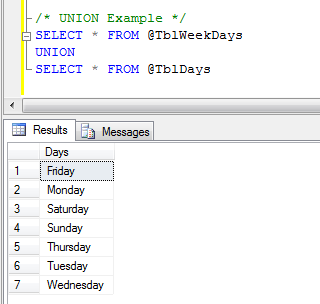 UNION performs a DISTINCT on the result set, eliminating any duplicate rows. 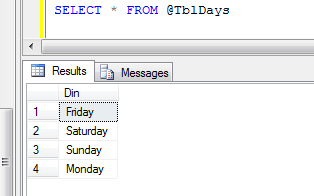 The UNION command is used to select related information from two tables, much like the JOIN command. However, when using the UNION command all selected columns need to be of the same data type. A UNION statement effectively does a SELECT DISTINCT on the results set. The UNION ALL command is equal to the UNION command, except that UNION ALL selects all values. 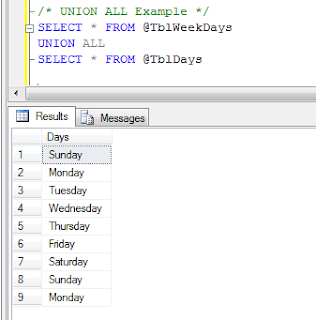 Union ALL will not eliminate duplicate rows, instead it just pulls all rows from all tables fitting your query specifics and combines them into a table. If you know that all the records returned are unique from your union, use UNION ALL instead, because it gives faster results.